One of the best gifts you could give someone is a personalized item. Whether it's some jewelry, clothing, or even a diy gift, it shows the person you're gifting that you were really thinking about them when you were picking something out. A favourite of mine has to be personalized laptop skins or custom iPhone cases. The only company I trust to give me quality cases and skins is CaseApp. If you're a long time reader of mine, you may remember I teamed up with them earlier in the year to create some goodies (see post here). 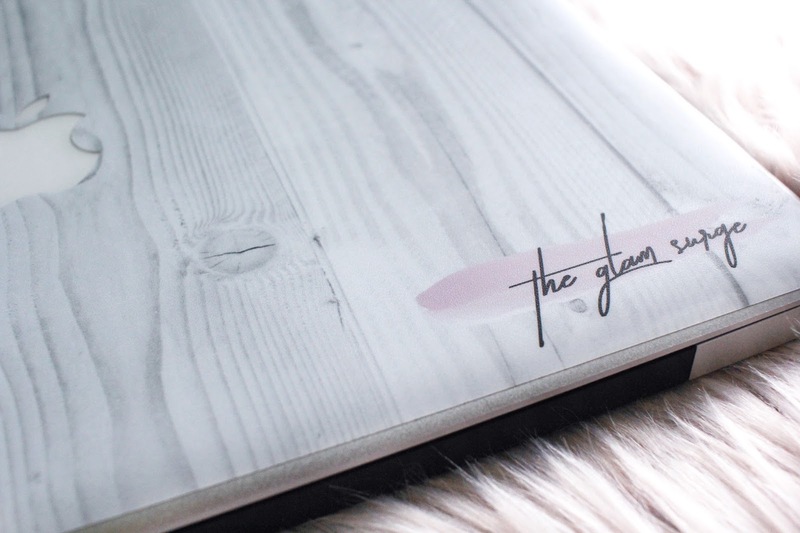 I was ecstatic when they contacted me again to collaborate one last time for the year, as I was getting tired of my marble laptop skin. You may use your own photos to personalize it completely or you can choose from a bunch of their premade templates and customize it to make it your own. 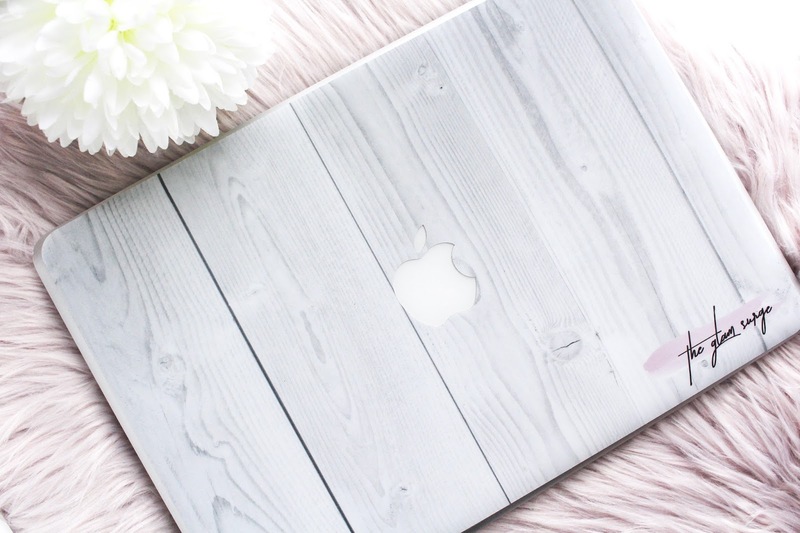 This time around, I decided to still stay minimal with a white wood look (which I picked off google), but I also wanted to add a little personal touch by adding my blog's logo on the bottom corner. At first, I was a bit worried that it wouldn't come out how I liked it, but was quickly reassured when seeing that it actually warns you whenever a photo you're using may come out poor quality (due to sizing). Upon opening the envelope, I was really impressed as the quality surpassed my expectations yet again. I couldn't be any more happier with how my custom laptop skin* turned out. If you'd like to customize a phone/tablet (they cater to a variety of them) case or skin, I really recommend using CaseApp. Or if you'd much rather let them customize it themselves, they offer gift cards as well. It would make the perfect Christmas gift. Products marked with a (*) were sent to me for consideration. All opinions are and always will be my own. Are you a fan of personalized gifts?